Recently, the U.S. Environmental Protection Agency’s Inspector General reported on the findings of an investigation into the agency’s economic analysis of the Lead: Renovation, Repair and Painting (LRRP) rule. Not surprisingly, that report determined that the EPA Office of Chemical Safety and Pollution Prevention (OCSPP) underestimated the rule’s cost and overestimated its benefits. Moreover, the EPA Inspector General found that the training manual and subsequent “certified renovator” training failed to clearly delineate which lead-safe work practices are mandated and which are simply recommendations. For more information about what the NAHB is doing to improve the effectiveness and reduce the cost of this rule, check out this recent article on Housing Zone by Professional Remodeler. 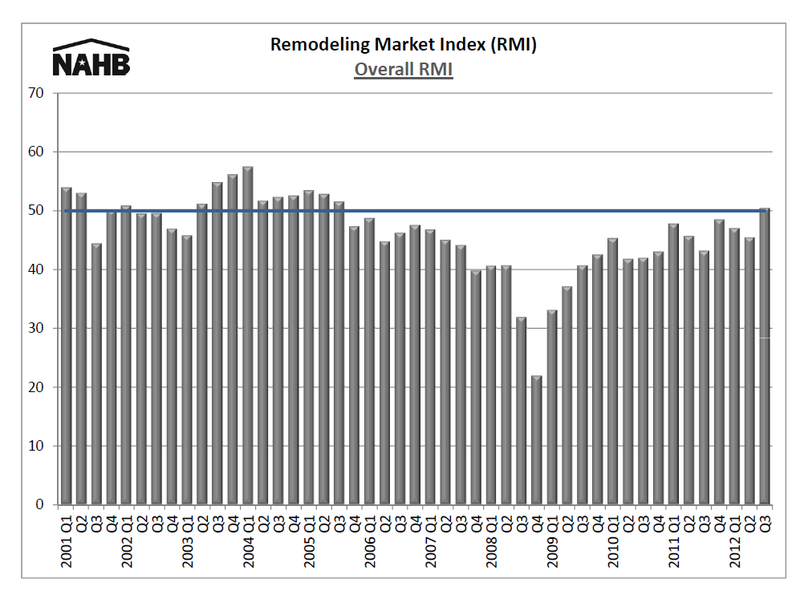 The second quarter results of the Remodeling Market Index (RMI) slipped under pressure from a softening labor market, according to the National Association of Home Builders (NAHB), dropping two points to 45. The downward adjustment comes after the RMI reached 48 twice in 2011, the highest reading since 2006. The RMI is based on a quarterly survey of NAHB remodelers that asks them to rate current remodeling activity along with indicators of future activity, like calls for bids. An RMI below 50 indicates that more remodelers report market activity is lower (compared to the prior quarter) than report it is higher. In the second quarter, the RMI component measuring current market conditions dropped to 46 from 49 in the previous quarter. The RMI component measuring future indicators of remodeling business remained unchanged at 44. To read the full article, visit the NAHB website.